Martin had two spells with Diamonds, initially joining Diamonds in November 1994, on loan from Coventry City. 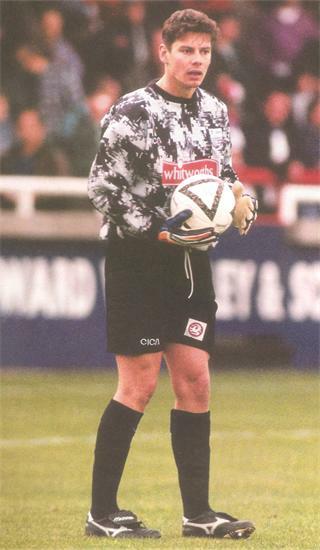 The Welsh born keeper was brought in to replace the injured Kevin Fox and young Chris Mackenzie, and made his debut in the home win over VS Rugby on 12 November 1994. He had begun his career with the Coventry City youth set up, and had a loan spell with Stafford Rangers in August 1994 before arriving at Nene Park. The loan was extended until the end of the season, although Fox returned to First Team duties in February. He returned to the side in April however, playing in a further nine games in the fixture backlog at the end of that season, although his sending off after just 4 minutes at Sittingbourne on 26 April 1995 saw him suspended for the final game of the season. After returning to Coventry at the end of the season, he was released, and joined Cambridge United in May 1995 on a two year deal. He rejoined Diamonds from Cambridge United on 13 July 1996 after a £6,000 fee was agreed between the two clubs. He became number two to Graham Benstead at the start of Diamonds first season in the Conference but after Benstead had shipped 11 goals in the opening four games, he grabbed his chance to become the number one making 37 appearances during the season before being released in March 1997 after the arrival of Steve Cherry. 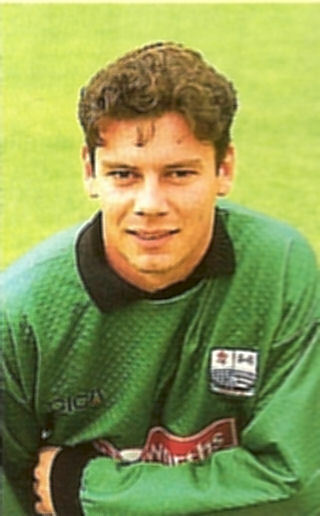 He joined Dover Athletic until the summer of 1999, when he moved to Cambridge City. He spent some five years with Cambridge City before leaving the club in the summer of 2004. He spent the 2004/2005 season with League of Wales side Port Talbot Town, before returning to the area, first with Corby Town, before joining Stamford in the summer of 2008, and making over 50 appearances for the NPL Division One side. In 2009, he returned back to Cambridge United, this time as goalkeeping coach, and assisting Jez George with the youth set up. In January 2017 he returned to Swansea City as Under-23 goalkeeping coach.